SnapCacklePop: Reigan finds a piece of heaven in new single..! Reigan finds a piece of heaven in new single..! 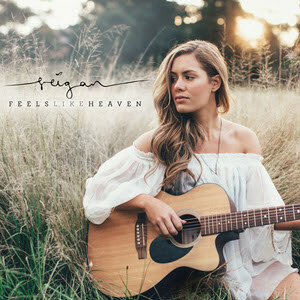 Perth songstress REIGAN returns with her mesmerising new single Feels Like Heaven and we are really loving this new track. Starting out with a soft intro, the song bursts into a massive chorus as Derry screams she has found heaven in the most simplest of places. Written by Reigan Derry, Jon Hume, Hayley Warner & Phil Barton, ‘Feels Like Heaven’ showcases Reigan’s powerhouse vocals in an incredible mid-tempo pop track. Reigan’s 5 track EP featuring her debut single ‘All Of The Pieces’, was released in December last year and inspired numerous trips to the UK writing and developing her craft. Check out the new single below in an acoustic performance on The Morning Show. The track is available on iTunes now..!